Over two decades as a professional writer, I’ve written in almost every circumstance you can imagine . . . in cubicles in large writers’ bullpens, in private offices, in hotel rooms, in bookstore cafes, in coffee shops, in libraries, in my car, on my front porch, in client offices that were so dismal they made me happy I could get up and leave but sorry for the people who had to stay there . . . What makes a venue productive depends on what I’m trying to do. When I’m rewriting or editing, I can pretty much work anywhere, any time. But when I’m composing something new, the game changes. I need two things: somewhere that allows for the quietude of mind necessary for me to do creative work, and someplace where I can get into a routine of settling in to write for hours. When I began drafting my latest novel, I couldn’t write in my usual home office in the basement because a flood had made it uninhabitable. I was on sabbatical from my teaching job so didn’t want to go into school, where I knew I’d be interrupted constantly. I couldn’t afford a short-term lease on an office so I tried out several of the libraries around where I live, and settled on one in particular where I felt most comfortable. It was a large, quiet, clean well-lighted place with an alcove that perfectly suited me. I went there every day at opening time and worked all day, and in four months finished the draft of 120,000 words. The place was perfect . . . it was in the middle of a small downtown so I could take lunch breaks nearby and stroll around for an hour, it was not so loud and busy that I couldn’t focus, nobody knew me, and I could settle in for hours every day. I was able to get into the habit of producing writing, and it was lovely. I know lots of people don’t have the luxury I had, but it was perfect for me. When I was younger my most productive writing time was at night . . . after my day job was finished I could concentrate on writing into the night and still get up to work the next day. Ah, youth! Now that I’m, um, not so young, I find my focus is better if I start work in the morning. That doesn’t mean I always start writing right away, but I need to be sitting at my desk at the same time every day and be able to devote a substantial chunk of time to it. Flannery O’Connor used to say it was important for her to be sitting at her desk in case any ideas came so she’d be there to catch them and that’s how I feel too. My second most productive time of the day is around 3 p.m. For some reason, after the activity of the morning and the interlude of lunch, I seem to kick into high gear again around three. It’s a mystery. Caffeine is a must in the morning, as a stimulant and as part of the writing ritual. Park the car, grab a cuppa coffee from the local barista, spread out on a library table, and settle in to work. Nothing better! Some people I know use alcohol or marijuana to grease the wheels or focus the mind but neither of those work for me. Just like finding the best venue, the secret is to find what works for you and then go with it. I’ve been a voracious reader my entire life but in all that time I’ve never actually counted the number of books I read. Some people keep a reading journal, which I approve of but don’t seem to have the desire to do. But I’m reading constantly (usually one book at a time), and when I finish a book I feel out of sorts until I start a new one. How many I read depends on how much time I have available. Recently I had back surgery and with a lot of time on my hands I went through about a dozen hefty books in a month. I read both in and out of my genre though I’m getting pickier about books than I used to be. Once I could find something to value in even the worst book and would stick with it to the end . . . knowing how hard it is to write a book I would feel I owed it to the author to finish. As I get older I’m finding myself bailing out of more books. There seems to be a tendency to publish more massive door-stoppers than ever before, and unless it’s to my taste I find myself losing interest before the end. I love Pynchon and tried to read Bleeding Edge (which I was looking forward to because I liked Inherent Vice (not, repeat, not the movie), but around page 300 I gave up because it wasn’t working for me. I don’t feel so bad about doing that anymore . . . maybe because time is getting more precious to me. For the past few years I’ve been reading more non-American novels, particularly mysteries, which are what I write. American mysteries IMHO are laboring in the shadow of the hard-boiled, wall-to-wall violence of an earlier time, and not only don’t I find them compelling but I feel they’re dangerous in their cavalier approach to violence and sensation with little else to recommend them. My most recent great book is a tie between Richard Flanagan’s The Narrow Road to the Deep North and David Mitchell’s Ghostwritten. Neither of these are genre novels, though they are both energized by terrific plots and don’t have the glacial movement of the typical literary novel. It’s hard to write a great mystery, I think . . . it’s harder to break new ground when you have to honor (or upset) well-established conventions of the genre. But if you think differently about what a “great book” means and consider mystery series as one long continuous novel, then it’s possible to approach greatness in the totality of a series . . . my best candidates would be what the Swedish couple Maj Sjowall and Per Wahloo did with their Martin Beck series, what Henning Mankell does with his Wallander books, and what Ian Rankin does with Rebus. It’s hard to narrow it down to three but here goes . . . All of the three authors I’m going to mention have the same joys: wonderful characters who come alive between the pages of the books, stories that capture you quickly and draw you through the entire novel, books with a crucial connection between character and plot and setting, and books that engage and enlarge our sympathies in some important way. These are, not coincidentally, exactly the characteristics I strive for in my books. Giles Blunt is a contemporary Canadian mystery writer who has the John Cardinal series set in northern Ontario. His work is richly textured with a constant interplay between character, story, and location . . . the books couldn’t take place anywhere else than northern Ontario. Compelling stories and believable characters keep you reading. The Dutch writer Janwillem van de Vetering published a series of Amsterdam detective stories from the late 1970s through the 1990s. Having spent time in a Zen monastery (and written about it in a couple of memoirs), he wrote novels that were inflected with a wonderfully droll sense of Buddhism. Again, he features great characters and compelling mysteries. Though in his later works he moved his trio of detectives from their native Dutch soil to the States, and in those books they lose touch with the settings that energized the books, he’s still worth reading and enjoying. He’s not well-known today and it’s hard to find his books anymore but in his day Ross McDonald was among the top writers working in the detective genre. He opened the American hard-boiled detective novel out to encompass social critique, and in his later books began to probe the psychoanalytic underpinnings of his mysteries. I inhaled his books, sometimes two a day. For anybody who hasn’t read him, he’s indispensable in learning how to move a story along. There are so many others . . . the Scottish novelist William McIlvaney, the Swedish authors Hakan Nesser and Kjell Eriksson, the Norwegian Karin Fossum, the Irish writer Adian McKinty . . . email me if anybody wants to know more. Both of my Martin Preuss novels (and the ones that will follow, including the third book that I’m writing now) are about the failure of love, the cascading consequences of greed and violence, and the cruelty and brutality we inflict on others consciously or unconsciously. Second, in a larger sense, all art for me is a way to celebrate the world. The visual arts are a way to celebrate the visual world, and music a way to celebrate the aural world. Writing is a way to celebrate the human world . . . to touch people’s minds and hearts, and enlarge our sympathies about the joys, sorrows, and possibilities of being human. And finally, Virginia Woolf said the artist doesn’t create, she “makes visible.” There are aspects of this world of ours that I would like to make visible, and crafting stories is my way to do that. It was ripe with the kinds of questions we want our readers to ask: Who was he? What had happened to him? Where was he going? I kept that image in my mind until I had the time and space to be able to sit down and actually start the book. I knew I had to take the story someplace from there pretty quickly, so I went to my trusty folder of story ideas and interesting articles that I save (I’m always on the lookout for ideas for my books and poems). There I found the perfect way to continue. I found an older article I had cut out from one of the local alternative newspapers several years before. The article described a crime that took place at a small family-owned bakery in Detroit. Two men were shot (one was killed) and a third man escaped. The murder was never solved. The article was actually about the devastation the bakery owners suffered in the aftermath of the crime, but the overall situation caught my imagination when I first came across it. That situation became the inciting incident for the book that turned into The Baker’s Men. The man I had seen walking down the sidewalk morphed into the third man who escaped from the shooting at the bakery, which I now located in Ferndale. I changed most of the details about the crime (its location, the owners and their situation, the motive, and the victims) and repopulated it to suit my purposes. Then finally put my Detective Preuss on the case and it became his book. But that’s not the only source for this novel. The other source was a tale my parents told me years ago something that happened to one of their friends. I can't say much more about it because I'll give away too much of the mystery that’s at the heart of the book . . . but like the article in the newspaper, I carried this story in my head for a long time (in this case more than twenty years) because I knew it would wind up in a novel someday. And it finally did, in The Baker’s Men. Finally, the true novelist is the one who doesn’t quit. Novel-writing is not so much a profession as a yoga, or ‘way,’ an alternative to ordinary life-in-the-world. Its benefits are quasi-religious—a changed quality of mind and heart, satisfactions no non-novelist can understand—and its rigors generally bring no profit except to the spirit. For those who are authentically called to the profession, spiritual profits are enough. That sentiment has seen me through some very difficult times in my writing life, including a period of almost ten years when, despairing of finding anything close to success as a novelist, I stopped writing fiction entirely. I was having no success in placing anything, and just got too discouraged to continue. I’m not sure it was writer’s block (which suggests you want to write but can’t) as much as having lost the little holy flame that keeps us going. Finally I came to terms with what “success” means . . . it’s not fame and riches but knowing that you are doing the best, most honest work you can. It was only when I realized the thunderous truth of what Gardner was saying that I was able to understand that I needed to write, regardless of what happened to my work. Once I realized that, it freed me up and I was able once again to let my creative drive find an outlet in writing fiction. What Gardner says is what artists in every field discover for themselves: the satisfactions are all in the work. Easter, 2009. The nation is still reeling from the previous year’s financial crisis. Ferndale Police detective Martin Preuss is spending a quiet evening with his young son Toby when he’s called out to investigate a savage after-hours shooting at a bakery in his suburban Detroit community. Was it a random burglary gone bad? A cold-blooded execution linked to Detroit’s drug trade? Most frightening of all, is there a terrorist connection with the Iraqi War vets who work at the store? Struggling with these questions, frustrated by the dizzying uncertainties of the crime, and hindered by the treachery of his own colleagues who scheme against him, Preuss enters a whirlwind of greed, violence, and revenge that spans generations across metropolitan Detroit. I've had the good fortune to hear Giles Blunt at an author reading in my small town (I live north of Toronto). It was shortly after 40 Words for Sorrow and I was immediately hooked by his writing and his overall demeanour. Funny and self-deprecating. I've read everything by him since. His "long bio" is absolutely a must-read http://www.gilesblunt.com/bio-long.html. I've also read most, if not all, of Ross McDonald, though it was a long time ago. 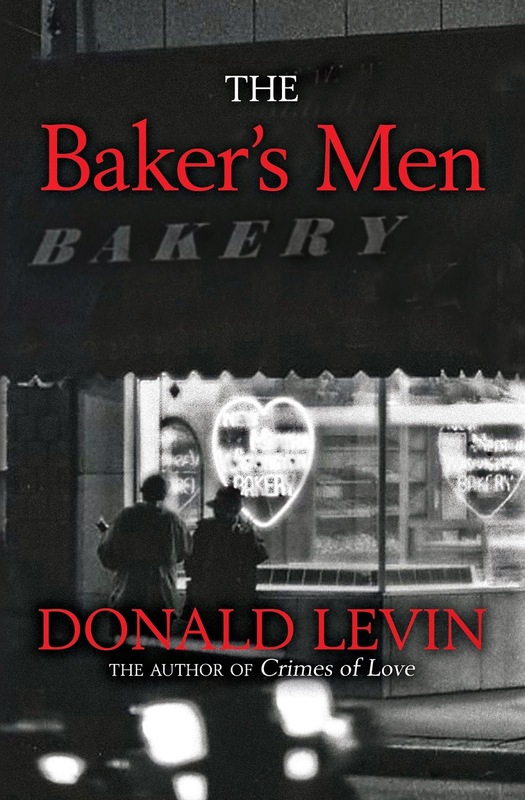 I will add The Baker's Men to my reading list. You come highly recommended through the books you like! Don -- Sorry to comment so late, but I've been traveling and just got in to the hotel. Thanks for your interesting and complete answers -- and for three new novelists to check out. Thanks, Jim. It was a pleasure . . . these were great questions and I loved thinking about them. I appreciate the opportunity to reach out to your readers.